Islamabad : Pakistan’s Foreign Minister Shah Mahmood Qureshi Tuesday had a telephonic conversation with Hurriyat leader Mirwaiz Umar Farooq and discussed with him Islamabad’s efforts to highlight the Kashmir issue. Though there was no immediate reaction from the Ministry of External Affairs but Qureshi’s move may not go down well with India, which maintains that Kashmir is a bilateral issue and there is no space for any third party. 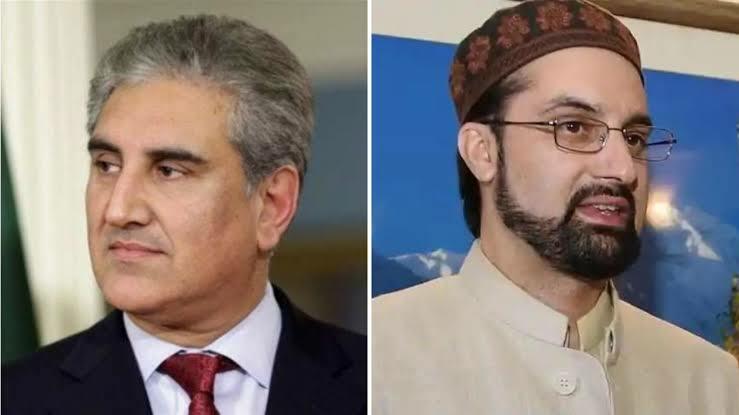 The Foreign Office said Qureshi spoke with Mirwaiz and discussed with him the efforts of Pakistan’s government to highlight the Kashmir issue. Qureshi also mentioned the June 2018 report issued by the Office of the High Commissioner for Human Rights and a report of the UK Parliament, the FO said in a statement. He also emphasised that India should permit the visit of the Commission of Inquiry, as envisaged in both reports.